In this week’s TPoI, we bring you the latest updates on Microsoft’s Xbox Game Pass service, Twitch’s new subscription service, and the possibility of a Mini SNES Classic Edition from Nintendo. Microsoft is preparing to launch Xbox Game Pass, a subscription gaming service similar to Netflix that gives users access to over 100 Xbox One and Xbox 360 titles for $9.99 a month. Gamespot notes that the service’s alpha test is coming to an end on April 28, signaling an impending launch, and CinemaBlend predicts that it could come as soon as E3. Michael Pachter is confident that Microsoft won’t be able to replicate Netflix’s success, due to the lack of newly released titles being offered on the Game Pass. Nintendo to Release a Mini SNES Classic Edition? 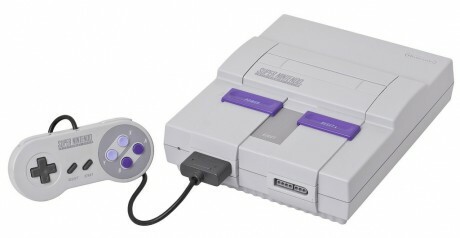 With the global discontinuation of the NES Classic Edition, there is speculation that Nintendo has plans to launch a Mini SNES Classic Edition, according to a report from Eurogamer. Nintendo has neither confirmed nor denied the rumor, but Fortune surmises that this may have been why production of the NES Classic was stopped. If the SNES is to be released, GameSpot expects it to launch sometime around December, a perfect gift for the holidays. Polygon suggests that Nintendo implements a pre-order program to prevent the type of shortage issues that were present at the NES Classic launch, with Forbes going so far as to advise Nintendo to triple the amount of SNES available.